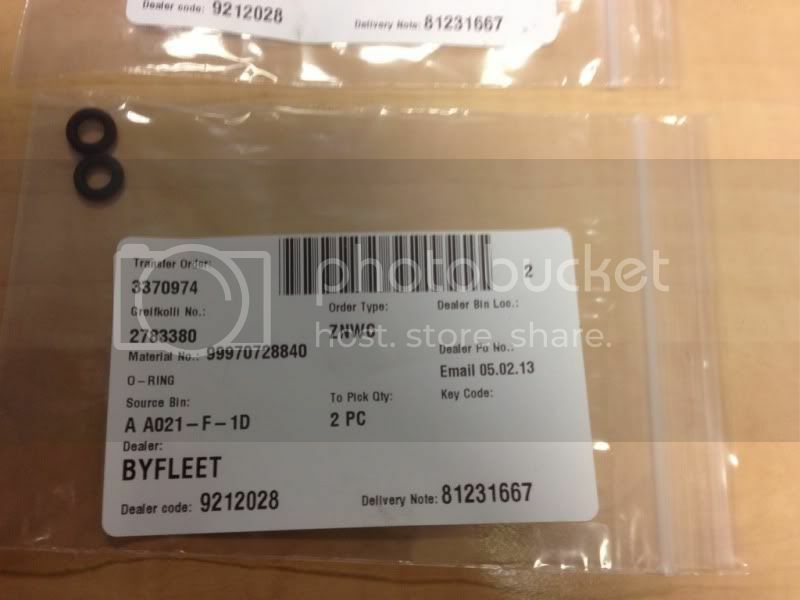 Posted: Wed Jun 05, 2013 10:20 pm Post subject: 964 Project - When one thing leads to another! Hi chaps, thought I'd document some of the work I've been doing on the car over the last couple of weeks. Seeing as everyone's doing stuff to there 964s I didn't want to be left out! I decided a 24,000 mile service was in order so ordered the items i thought i would need over the last couple of months. First I removed the exhaust, heat shielding and cam covers. The tin wear was in a bit of a state! I gave it all a good clean and going over with a wire brush, a coat of primer and a couple of coats of gloss black it was starting to look a lot better. The large pice of tin wear from the rear of the engine was really badly rotten towards the heat shield area so I grinded the worst of and painted it same as above. Next I decided to strip the cam covers using paint stripper, I can't tell you how much of a pain this was, seemed to take forever but I got there in the end. I gave them a coat of metallic black heat resistant paint. Ok I admit I didn't paint the bottom covers, it took me hours to do the upper ones by hand so decided not to wast time doing the lower ones, if I had the funds to have them blasted I would have done all of them, but as they can't be seen there was no point. 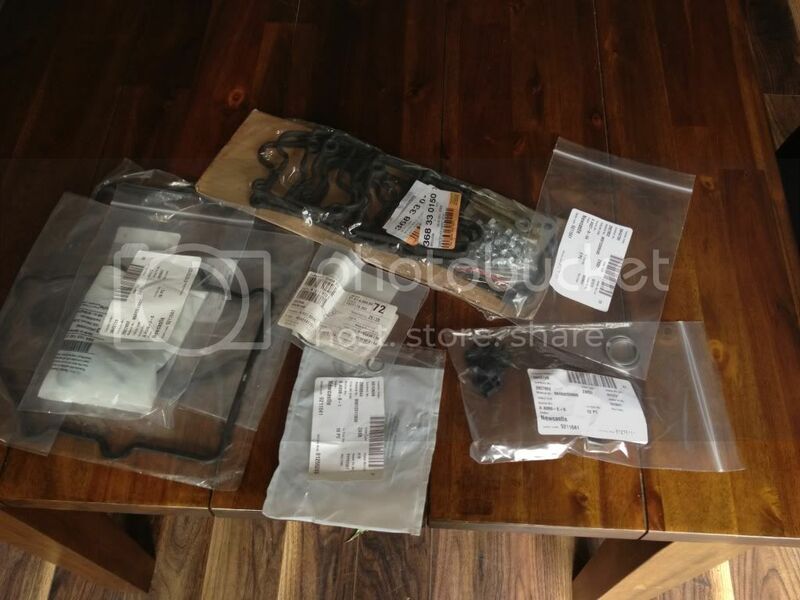 Goodies from OPEC Newcastle and euro car parts. Next I set all the valves using the valve setting tool. Next new bosch plugs, although the old ones looked in good shape! I fitted new HT lead clips at this stage as all the old ones were knackered. Next I saw the chain housing covers were leaking from both bottom corners so off these came and new gaskets and bolt rubbers fitted. Other cover was leaking from exactly the same place. Now things start to get out of control, I thought seeing as the car was jacked up and the tray was off I might as well change the oil in the final drive (diff) this was very easy, I'm glad I did it as there was nothing in my service history to say when this was last done? Then I noticed there were two snapped studs in the manifold, I decided to remove the full manifold and try and remove the Brocken studs. One of the snapped studs. Getting thes bloody nuts off was a total hassle, I had to soak the nuts for two days befor I began trying to get them off, it would have been a lot easier if I could have gotten better access. I'm glad I removed this as I found a massive leak coming from the pipe that comes from the oil filter to the engine. 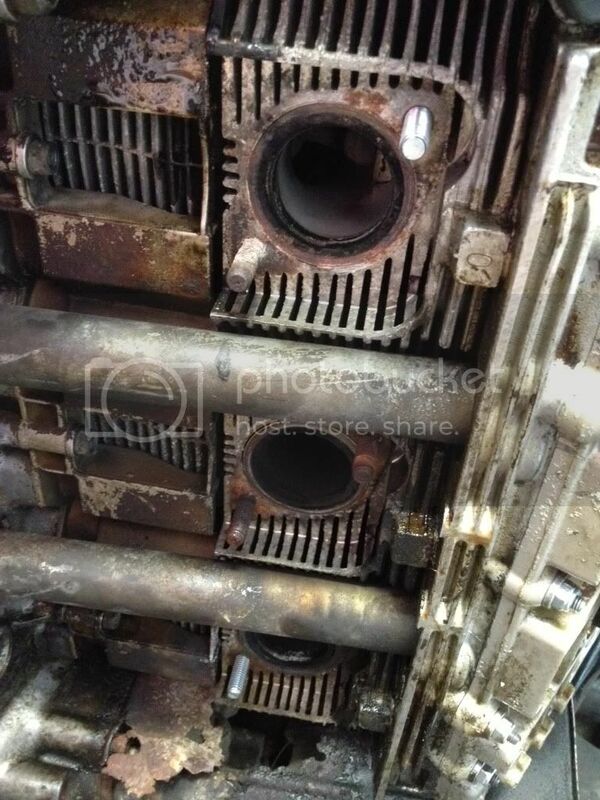 The fitting that the pipe fixes onto at the engine was only finger tight and leaking! I will be tightening this fitting tomorrow. Ok now I need some advice, I tightened two nuts onto the snapped stud and locked them together with the view of winding the stud out of the head. I've tapped it with a hammer and punch to loose it a bit but I've tried tonight to wind it out and I'm scared its going to snap off flush with the engine. I haven't been able to move it yet, anyone got any tips? I'm not sure if I can use heat as the stud goes in to aluminium? I will be having another go in the morning at the little ***** but any tips would be appreciated. I would have thought heat would be okay, given the heads get mighty hot anyway...but I'm sure someone who actually knows will be along in a minute! Ref the stud, I had a particularly stubborn bolt on a Lotus recently and eventually managed to get it off using Halfrauds Shock and Unlock spray. Are you using WD40 or penetrating oil to soak it, I have never had much luck with the former. Well done on the work so far bud, and hats off for grafting in the garage in this heat! Im back behind a machine polisher tonight to push mine on. Alternatively use the stud you have to weld an extension. OK, a bit of a bodge but better a bodge than a chuffin big bill from a machinists. 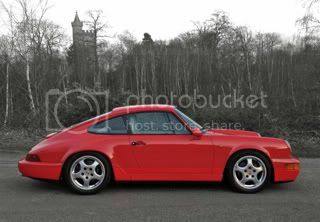 fantastic thread, so many 964's getting the TLC treatment at present! Ok lads, I'm glad to say today went really well! Mr Bacchus, yes I've used about 5 gallon of wd40! Anyway rang my plumber mate and borrowed his torch, I also got hold of a stud extractor from my dads mechanic mate. He told me it would be fine to heat aluminium, I know this gets red hot anyway but wasn't sure about heating it in one place. I warmed up the first stud and was amazed how easy it wound straight out with the ratchet! The second stud was a lot harder and I had to wind it out using heat and the extractor. It was now that I said a few kind words to him upstairs! Well I got hold of some bolts with the same size threads and cut the heads off so they were the same size as the studs. Then I wound them into the heads. 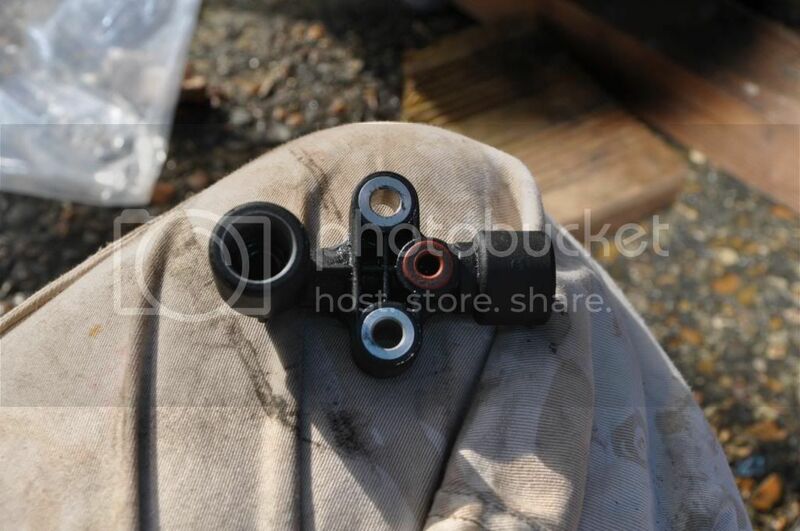 The second pic shows two studs as two snapped and one wound out when I tried to remove the nut. Now it was time to clean up the manifolds/heat exchanger, I cut off the four bolts holding them together and replaced them with new as they were really rotten. I then gave them a good clean with gunk. I then gave the engine a good clean ready for refitting the manifolds. In the first pic you can see the oil pipe connection I removed this afternoon, cleaned and tightened up properly. It was now ready for the manifolds, I couldn't get any help with this so had to put some paste on the connection and lift one side with my foot with the other side in my hand while putting a nut on to hold it. Pic of manifold fitted and tightened down! I've got the heat shields fitted now but I will leave the engine tray off till I know everything's ok. Tomorrow ill be fitting the exhaust, and fixing this leak on the other end of the same pipe! It's under the rear wheel arch behind the oil filter. 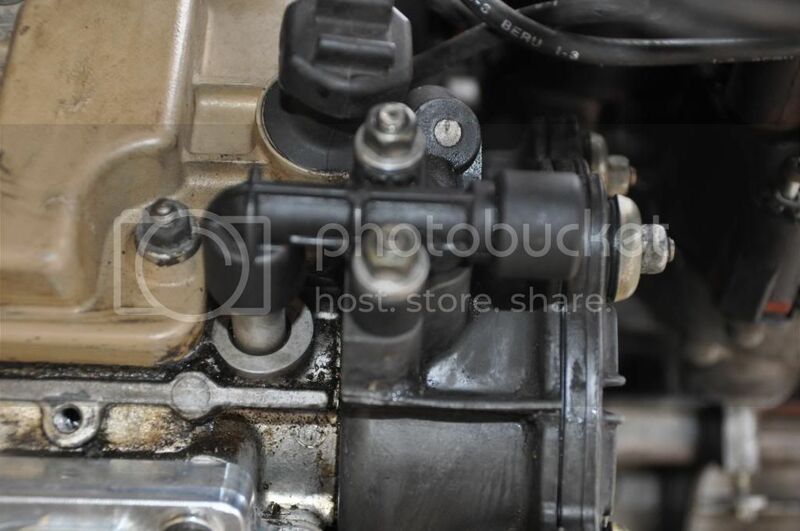 I'm also going to replace the rubber sealing ring on the oil pressure sender on top of the engine, I've already removed the airbox so i could fit a new fuel filter, has anyone managed to change this without removing the inlet manifold? I was going to try and disconnect it by reaching round the back? I shall report back tomorrow with my progress. Good job and glad you got the problematic stud sorted. I feel quite inspired to get the spanners out. Hi lads, I'll post up a further progress report tomorrow, there's a pint or several of theakstons at the bar waiting for me tonight! Hi lads, major push with the car over the weekend, been living in the garage over the last week so needed to get it finished! I pulled the alternator, fan housing and fan out on Saturday as I found some gloss black enamel paint in the garage and wanted to paint the fan. I also wanted to polish the pulley wheels, and give the fan housing a coat of metallic grey paint. Pic showing the fan housing and the fan stripped ready for primer. In between painting the fan I started trying to fix the oil leak at the pipe that connects to the oil filter housing in the driver side rear wheel arch. This was a total NIGHTMARE! No matter what I used to try and loosen the big nut it wouldn't loosen! Even an adjustable spanner with a metal bar on it wouldn't move the blighter! In the end I had to remove the oil filter housing from the car and loosen the nut on the garage floor, I was able to do this as the pipe is connected to a flexy hose half way down and I was able to bend it away from the car to gain better access and purchase with the spanners. Pic of some previous idiots attempt to remove the rubber pipe by cutting it of witha hacksaw. I eventually got this all back together and turned my attention to the leaking oil pressure sender located to the rear of the engine behind the fan. 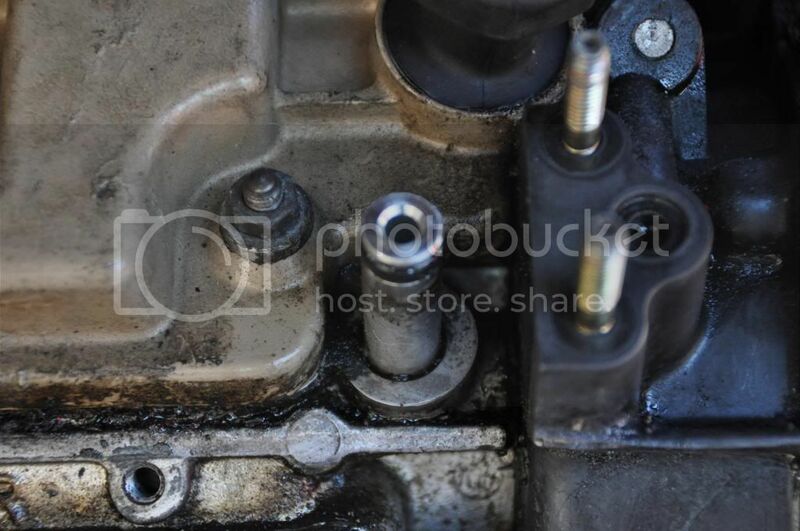 I was able to reach around the inlet manifold and remove this easily. 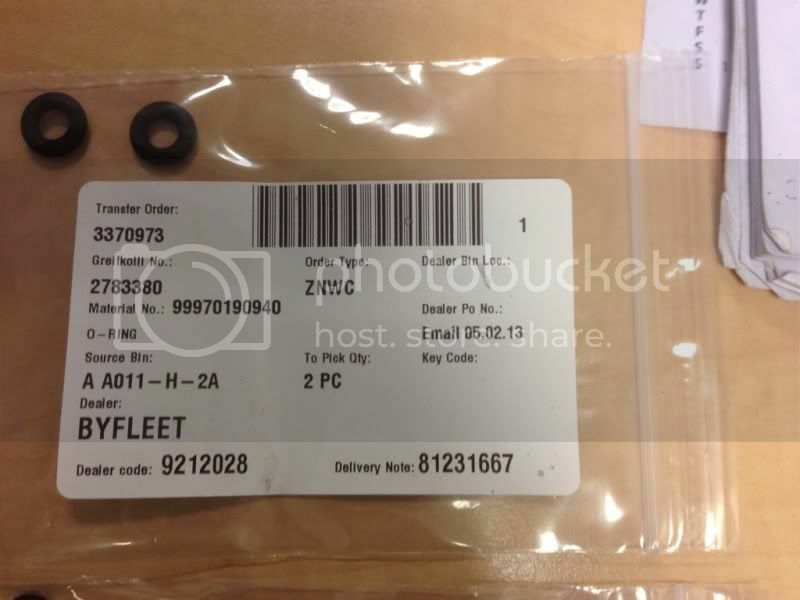 Pic of the old rubber seal, this was rock hard and brittle like plastic, the new one was soft rubber. Next I refitted the exhaust, added the Castrol magnitech oil and retentioned the belts. Engine bay looks like new! Really nice work, love a good job done like that, bet your well chuffed now.Well worth the choice words etc in the end.